We love these fabulous leather bracelets from the Spring/Summer Nikki Lissoni collection. Add a pop of colour to your jewellery box with these beautiful bracelets in this season's hottest shades! 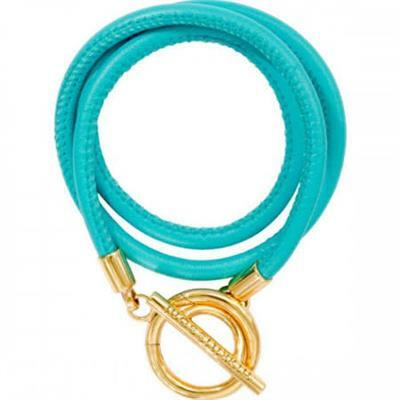 This turquoise Leather bracelet is a triple wrap featuring a Gold clasp to hang your Nikki Lissoni pendants.